I chose LDUK because of the great discounts. Martin was brilliant and pleasant. I would highly recommend to anyone. Passing my driving test has given me more independence to do so much with my son and family. Thank you Martin. I passed my extended test with Martin Kearsley of Learn Driving UK. I found the course very good, informative and relaxed. I found LDUK online, and started lessons with them as they had the best offer. Martin was absolutely brilliant. Brilliant service, brilliant instructor. Now the world is my oyster. Martin was great, friendly a pleasure. Learn Driving UK were recommended to me and they had great reviews. Martin was a great instructor and i'd highly recommend him to anyone. Now i want to get a car and continue driving. Martin was honest, calming and reassuring. I'd already had a few lessons but wanted to change instructors. I found Learn Driving UK online. I have already recommended him to friends. Now I am looking forward to driving to work, London and even on holiday. Very enjoyable and pleasant experience. Laid back and patient tuition which was appreciated. The most important criteria for me was finding a driving school with good reviews, and once meeting the instructor feeling comfortable with them. Other important factors we're value for money and deals for new learners. I thought learning to drive would be stressful and difficult, but it turned out to be exciting and I found myself looking forward to my next lesson learning new things. I found my instructor great, Martin was excellent, he made me feel comfortable and confident, he always had a clear plan for the lesson and knew what I needed to do, but also gave me choice and freedom to have my say in what I think I need to improve. 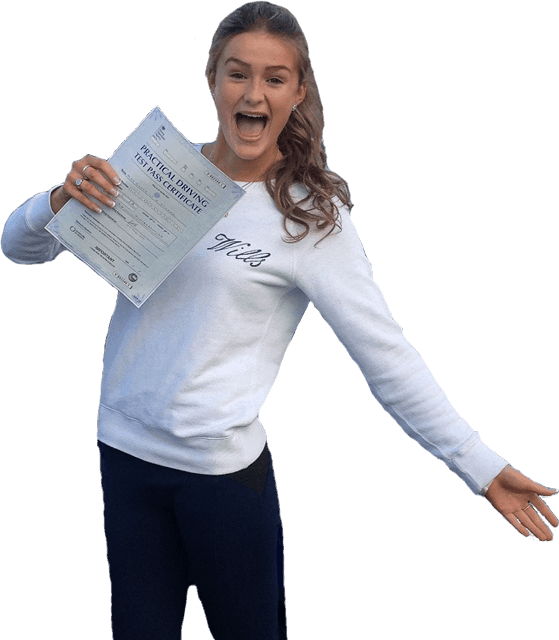 I would 110% recommend Learn Driving UK to anyone wanting to learn to drive, I passed my test first time as do a lot of pupils from Learn Driving UK, I think the reviews speak for themselves, I couldn't of chose a better driving school. Honestly there's nothing I would suggest to improve, I had no problems with my instructor nor Learn Driving UK itself, my experience was excellent, I will remember my instructor and Learn Driving UK forever for teaching me a skill I will use for the rest of my life. I found the lessons and Martins teaching methods very useful and easy to follow and I passed first time. It was really important for me that I had good feedback and a decent relationship with my instructor rather than learning to drive with a huge organisation. I wanted an instructor that was actually bothered about passing you, than making money. Martin was good consistent and what expected. Found the lessons and Martins teaching methods very useful and easy to follow and I passed first time. Yes I would definitely highly recommend Martin and Learn Driving UK to anyone There is nothing i would change. I wanted an all inclusive package so that i didnt have to worry about any problems getting my driving licence. I read the good reviews about LDUK and the price for an all inclusive package was very good. Learning to drive with Simon Hills was much easier than I had expected it to be, Simon was constantly encouraging me and advising on my mistakes. Simons teaching methods were very good and he was very encouraging. I would highly recommend LDUK and Simon as they are reasonably priced and really responsible Instructors. There is nothing i would change about my learning to drive experience. The customer service was very important to me and the instructor. Learning to drive with Harry was very good. He is a great instructor. And I passed first time. I couldn't have done it without Simon, thank you very much. Thank you for your time and patience Simon and i highly recommend you to anyone wanting to learn to drive. Simon you are brill, even when I had wobbly days you manage to keep calm I will be recommending you to everyone.